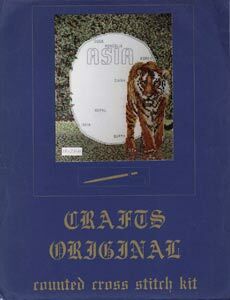 Crafts Original Cross Stitch Kit "Asian Wildlife"
This is a Crafts Original Counted Cross Stitch Kit. It measures 18 x 23cm. The kit contains: Aida fabric, cotton thread, a needle and full instructions. We only have one of these in stock. Price includes postage and packaging.